InsureandGo are the largest Internet travel insurance specialists in the UK, with core markets also within Ireland and the USA. InsureandGo wanted a mobile app that would allow users to buy and check their insurance policies, while at the same time engaging their customers with engaging travel related content. The solution – an app for both phones and tablets, that allows users to not only buy or check their travel policies, but gives interesting facts about the locations of users travel destinations, whether through factoids they could browse through, or notifications that can be set to give daily facts. To further engage with users, the app generates a new interesting fact not only with a swipe, but with a shake of the phone. The app also provides the user with important contact details for travel, embassy contact details, and travel advice about the country. All the images, were sourced as genuine holiday images by real travellers to correspond with the InsureandGo brand. 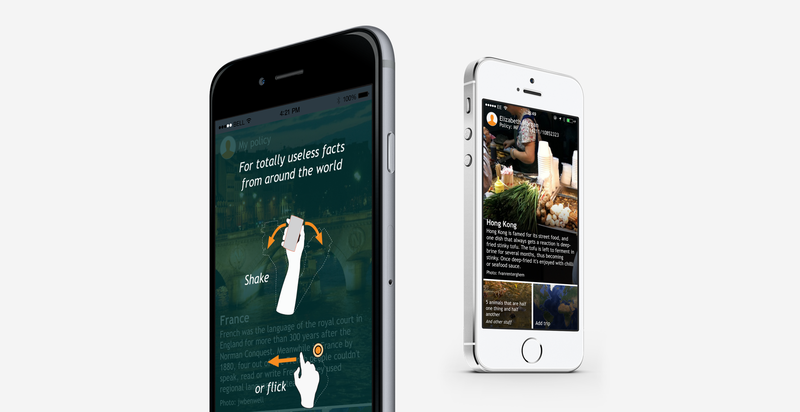 InsureandGo was nominated for Best Travel and Leisure app at the MOMA 2015 awards.